The latest addition to the Irrigatia range, the SOL-C60 waters up to a 60 Irrigation Units (IU's). The kit includes the Tank Range SMART controller with integrated irrigation pump as well as a seconda.. The latest addition to the Irrigatia range, the SOL-C60 waters up to a 60 Irrigation Units (IU's). The kit includes the Tank Range SMART controller with integrated irrigation pump as well as a secondary pump for mixing plant feed in-line during the watering process. The separate Solar Panel comes with a 5m cable and mounting brackets allowing it to be installed in a sunny position. 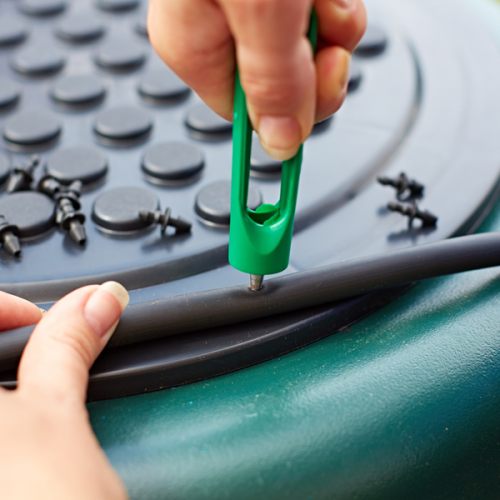 An optional 5m extension cable can be purchased if the solar panel needs to be positioned further away. 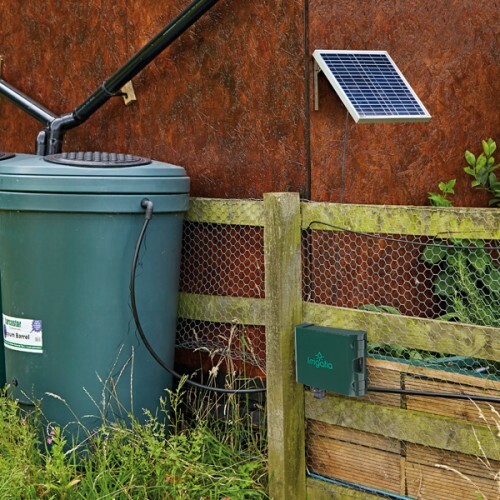 The water level sensor is placed in the water barrel and will detect when the water is running out and emits an audible warning during daylight hours. Night mode - the system now detects when it is dark and switches the controller off to prevent watering at night. To assist in selecting the most appropriate Irrigatia controller, we have devised a simple method to demonstrate each product’s capacity. We call them ‘Irrigation Units’, or ‘IU’ for short. The SOL-C60 is suitable to irrigate one of the stated maximum planting quantities, or a combination thereof. Seephose: Ideal for short runs in a mixed dripper / seephose environment, germinating seedlings, watering plant troughs and small beds - requires 1 dripper per metre length. 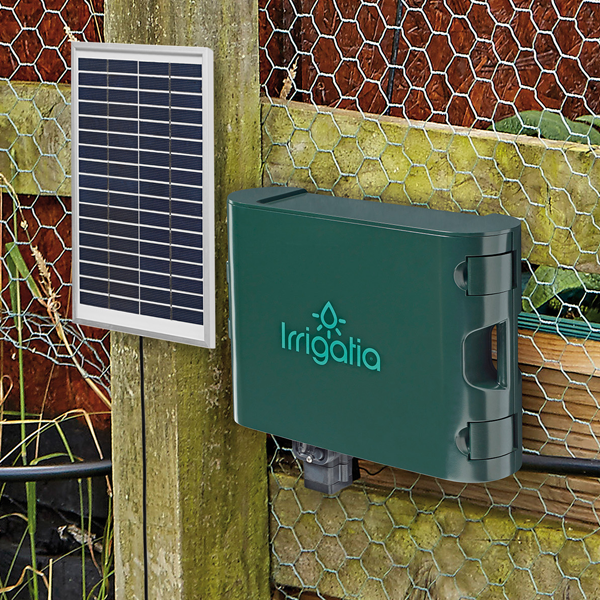 Irrigatia weather responsive SMART irrigation controllers uniquely use solar power to detect the weather and alter watering according to the conditions and the season – providing plants with the precise irrigation needed to help them thrive. hanging baskets, vegetables and greenhouses. Unlike conventional timer systems, by watering little and often, the soil stays moist and water does not run off, saving you water. A 1000 litre water barrel typically lasts 1 week. 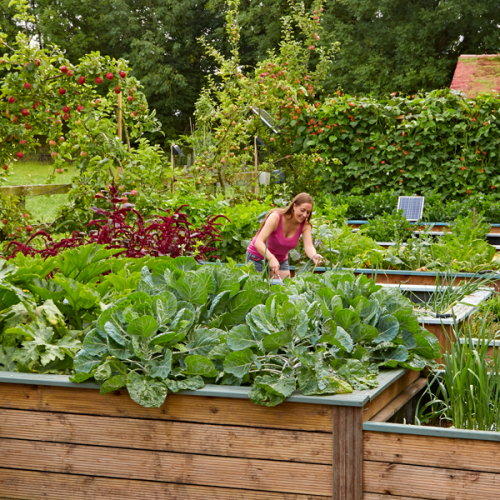 No mains, wires, or hosepipes needed nor heavy watering cans to lug water around the garden.